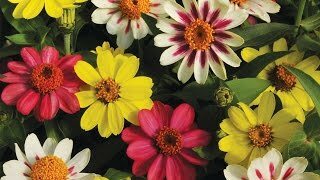 Enjoy a spellbinding fiesta of magnificent giant 4–6" flowers in shades of dark purple. Astonishing selection delights with a flurry of whirling dense blooms with dark centers that look hand-painted, and frilly edges. Outstanding candidate for containers or front of the border; non-drooping flowers are untroubled by rain. 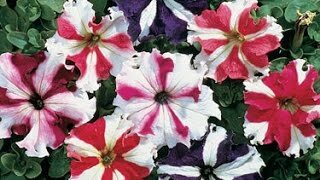 Petunia, Spellbound Dark Purple Hybrid is rated 2.3 out of 5 by 3. Rated 1 out of 5 by loverfishy from Very poor germination I'm an experienced gardener, and this year I started several trays of seeds with approximately 24 varieties of plants ranging from the basic (tomatoes, peppers, eggplant, okra) to specialty culinary herbs (culantro, Indian coriander, Thai basil) and exotic (saved dragonfruit seeds, passiflora, tindora, parwal). I had a near-100% success rate with everything except for this petunia and one other Burpee petunia. The other variety had 1 out of 15 seeds germinate, and this variety had 0. I followed the instructions, and used a heat mat and grow light. As mentioned, everything but the two varieties was thriving, and over half has been moved to bigger containers or cold-frame protected garden. Disappointed in the performance of these seeds, and would not recommend. Rated 1 out of 5 by AmyHikes from Poor Germination Rate I have started over 40 different types of flower seeds this 2019 season, both perennial and annual. These had a very low germination rate (like maybe 4 out of 15) AND very slow growing and many died. They have been sown and grown according to directions including seed heat mat, correct temp, etc on 2/5/19 and as of 3/18/19 out of 1 packet of white blush and dark purple have maybe 3 seedlings left that have BARELY grown at all. All my other flowers have done fantastic.